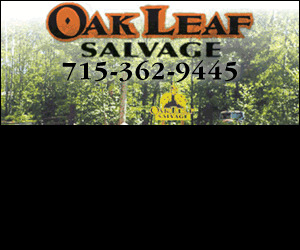 When it comes to car and light truck parts, Rhinelander Auto Salvage is the place to go. Family owned and operated, this business was started by Whitey Radtke in 1964 and is now owned and operated by his son, Fred Radtke. The primary focus here is to provide quality pre-owned automobile and light truck parts. Everything from bumpers to headlights are on hand and clients will find the facility a clean and welcoming place to do business. This is a very green enterprise. When a salvage vehicle is brought in, it is carefully dismantled in shop and all the parts are inventoried. This business is certified through Cars of Wisconsin and the Automotive Recycling Association and great care is taken by employees to ensure that no hazardous materials are exposed to the environment. In fact, the company goes through an inspection by an environmental specialist every year to stay compliant with new laws and technology. Pre-owned parts of every description are sold here including body parts, fenders, headlights, doors and transmissions. The only parts not sold here are catalytic converters. Most of the salvage parts are for vehicles 2000 and newer. In addition, brand new parts are sold here as well. Headlights, radiators, gas tanks and door handles are always stocked and available at Rhinelander Auto Salvage. Pre-owned tires are on hand too. There is also a huge outdoor lot on the premises. To ensure access and environmental safety, each vehicle is stored on blocks. These vehicles are inventoried so technicians know right where to go to get a part that may be too bulky to keep indoors. Photos of each vehicle are also on hand. Fred is willing to ship parts and he does so nationwide. In addition, he provides a delivery service to towns like Eagle River and Tomahawk. Vehicle pick-up is available on Thursdays and that area encompasses most of the upper half of Wisconsin and even into the Upper Peninsula of Michigan. Junk and scrap vehicles are welcome as well as vehicles that have been totaled in accidents. Even working cars are occasionally purchased by Rhinelander Auto Salvage. The staff here is friendly and knowledgeable and are more than happy to give free advice. 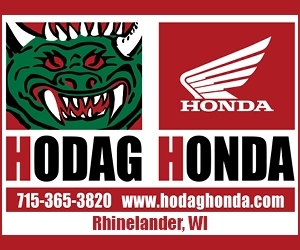 Rhinelander Auto Salvage is open from 8 a.m. to 5 p.m. Monday through Friday. It is located at 4161 Fox Farm Lane just off Hwy 47. The phone number is 715-362-5639. The website address is www.rhinelanderautosalvage.com and they also have a Facebook page.